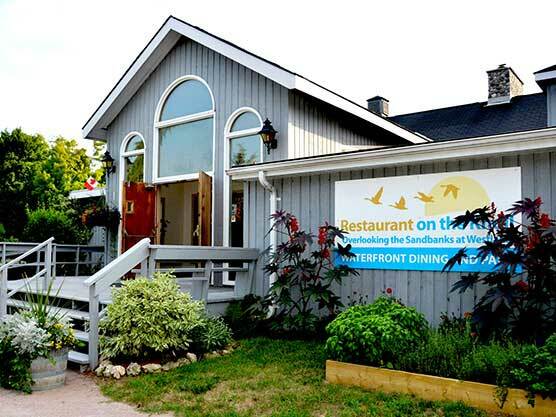 Relax in our waterfront restaurant featuring a main dining room, lounge and patio with incredible views of West Lake and the sand dunes at Sandbanks Provincial Park. The Knoll’s menus have been carefully crafted using the finest local ingredients, serving breakfast, lunch, dinner, lounge and kids menus. The lounge features over 75% Ontario wine with a wide selection of local Prince Edward County wines and offers tastings. Onsite, we have diverse accommodation from cottages to rooms and suites. Our amenities include a private sandy beach, outdoor pool and water sport rentals.